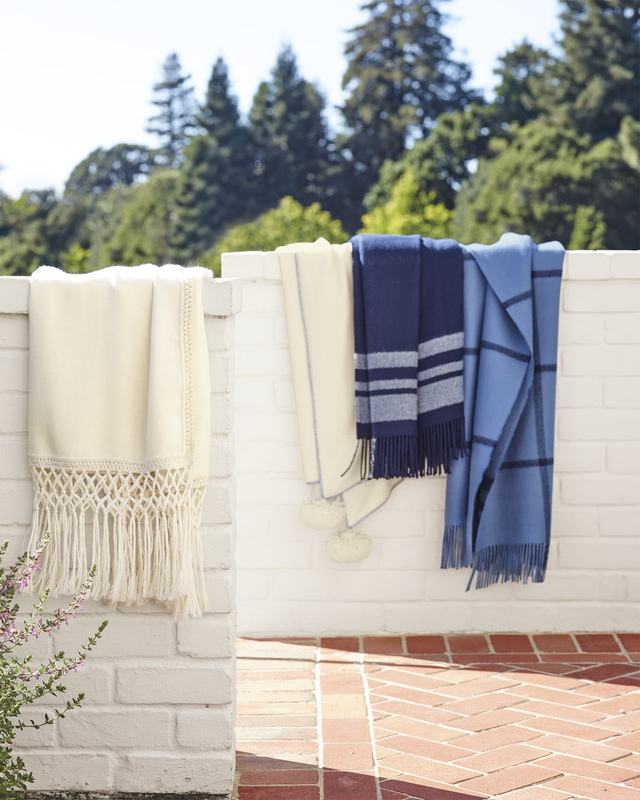 Adelaide Alpaca ThrowAdelaide Alpaca Throw, Ivory/Chambray alt="Adelaide Alpaca Throw, Ivory/Chambray"
Print This offers everything we look for in a throw – undeniable coziness, pretty design details, and exceptional quality. 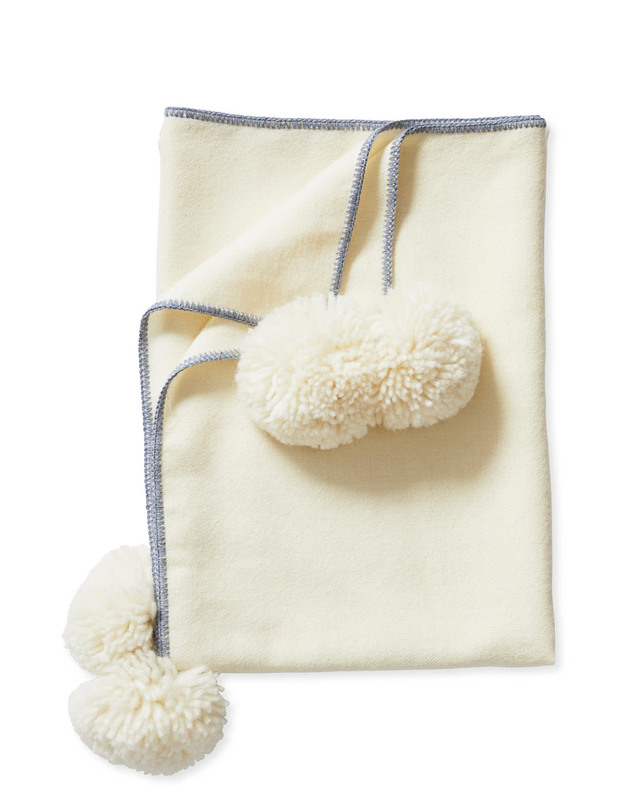 Made in Peru, a country celebrated for its textiles, it’s woven of incredibly soft baby alpaca wool. Large pom-poms and a whipstitch border up the fun factor. Woven of 100% baby alpaca.